I don't think anyone will argue when I say that Kvothe is a larger than life character - he 'could be the next Illien', enters the University as a near-genius at near-everything (well, aside from Naming), and is generally pretty damn good -or at least quick- at everything he tries. So he's a larger than life chracter: many are. So what? Well, a common complaint voiced about these sorts of character is that they remove any tension - 'if the character is so skilled, where's the conflict?' they ask (and for good reason). I would argue that - well-written - this isn't a problem, and frequently gets confused with a different complaint, the 'author's darling'. My reason is this: however wondrously skilled the protagonist is; however larger than life, tension doesn't merely come through martial conflict or even competition. Maybe your hero can beat the best duellist in the world left-handed (though let's face it: that is going too far) - but other tragedies are still beyond his control, especially in the quasi-medieval world of most fantasy: where disease and starvation are rife. But why does failure, or even just tension, have to come in the form of death at all? I've said it before, and I'll say it again - fantasy can be too focused on death as the sole consequence for anything. Fine - characters don't like dying. But really, there are other options, people! Maybe your character is near omnipotent - but does that protect his reputation? What others think of him? There are plenty of other motivators for tension in the story, even if we know the hero can't die. That, for me, is why Kvothe can exist as a character. He's near legendary, yes: but do all legends end happily? Look at your folklore and mythology, and the answer is a clear 'no'. And if we take a look at the frame story, he ends up as an unhappy innkeeper, apparently waiting to die. Hardly your model 'happy ending'. For me, that's why he's acceptable. Yes, he's amazing; a genius of his time and all of that. But despite that, there are things beyond his control - he has neither blood nor money (which provides a fair amount of trouble when he makes enemies in the nobility), and it's evident that things don't end happily. On the other hand, Kvothe could easily have gone down this path. If he had been successful, and if the frame story wasn't present, I would long since have been naming Kvothe a clear 'author's darling'. There are still flaws in making characters this way - conflict resolution even in the arena of their expertise shouldn't be too easy - but tension doesn't have to be one of them. Corwin, of Roger Zelazny's Nine Princes in Amber and its sequels, is a clear example: he's a near-demigod, can walk between/create worlds, and is a rather good swordsman. But because his problems are similarly sized (with his scheming family also near demigods), we can accept him. I have been told I *must* read Patrick Rothfuss but the size of them is a little off-putting. Well, they are rather massive. As in elephant-squashingly massive in the sequel's case. That, too - though not sure I'd peg Kvothe as an unlikely hero: by fantasy standards, he's rather a likely one! Still, I agree with you about the tension, though I think the reasons I described are definitely a source of it. 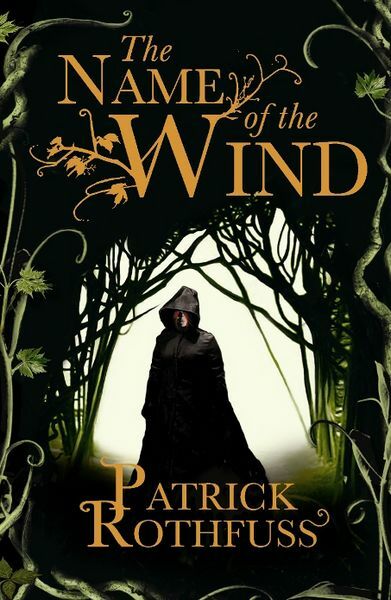 Mind you, I wouldn't love these books so much if Rothfuss' prose wasn't so incredible. He's one of the finest writers I know for the writing itself.